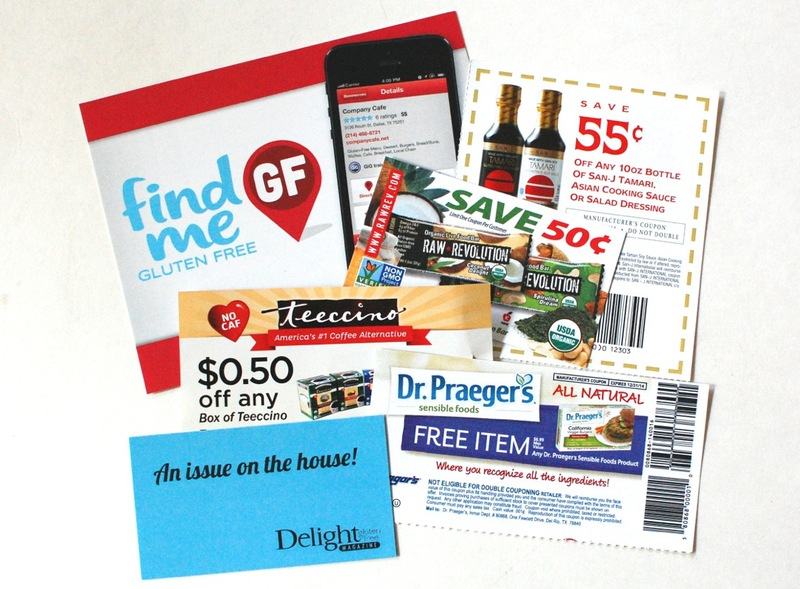 Send Me Gluten Free August 2014 Review, Discount & Giveaway! Send Me Gluten Free is a brand new subscription service that offers a monthly box of gluten-free goodies delivered right to your door! While the monthly box may be new, the folks behind Send Me Gluten Free have been heavily involved in the gluten free community for quite some time. They’ve been hosting Gluten & Allergen Free Expos since 2007 and consider this new venture to be sort of like “an expo in a box” for those who aren’t able to attend their expos. — An easy alternative way to discover great new gluten-free products in the convenience of their own homes. Send Me Gluten Free boxes will consist of 8-12 full and sample sized products ranging from food and supplements to personal care and household goods. Subscriptions are $30/month or less with longer commitments and shipping is always free! I was recently sent their August debut box and was excited to see what was inside! First look! The envelope on top contained a few coupons and everything else was buried beneath the pretty teal squigglies. Explore Asian Gluten Free Organic Black Bean Spaghetti – I’ve never heard of bean based pasta, so this will be fun interesting to try. The only ingredients listed on the package are organic black beans and water. It cooks just like regular pasta (boil it for about 7 minutes and drain), so it seems easy enough to prepare. It has a TON of fiber, is high in protein and iron, and of course it’s gluten-free. TeeChia Blueberry Date Sustained Energy Cereal – This gluten-free cereal is packed with “super seeds” like chia, flax, and quinoa. It contains no refined sugar, but instead is sweetened with all natural dates and fruit. Red Apple Lipstick Rallye Balm Sample – I’m kinda bummed about this teeny sample size, but then again, I have a TON of lip balms… This is a gluten-free, vegan, soy-free, corn-free lip balm that promises your chapped lips gone in 7 days or your money back. Can’t beat that! Juice Plus+ Orchard & Garden Blends Chewables – These are little chewy gummy supplements made with a ton of fruits and veggies. They contain no artificial flavors, colors, or preservatives. The orchard ones were tasty, but the garden ones… not so much. Surf Sweets Fruity Hearts – I’ve gotten these in another box before and they’re super good! Gelatin-free (vegan-friendly!) gummy hearts made with real organic fruit juice. Yum! Raw Rev 100 Spirulina Dream Bar – This is an organic live food bar made with the superfood spirulina. It’s vegan, gluten-free, and kosher. San-J Organic Tamari – A sample sized packet of organic, gluten-free soy sauce. I always assumed all soy sauce was gluten-free… Who knew? Better Off Red Tea by Now Foods – Caffeine-free tea made with organic red rooibos, citrus, and a hint of vanilla. Coupons – There were a variety of coupons included as well — most notably, one for a FREE Dr. Praeger’s item (up to $6.99 value!). Nice! 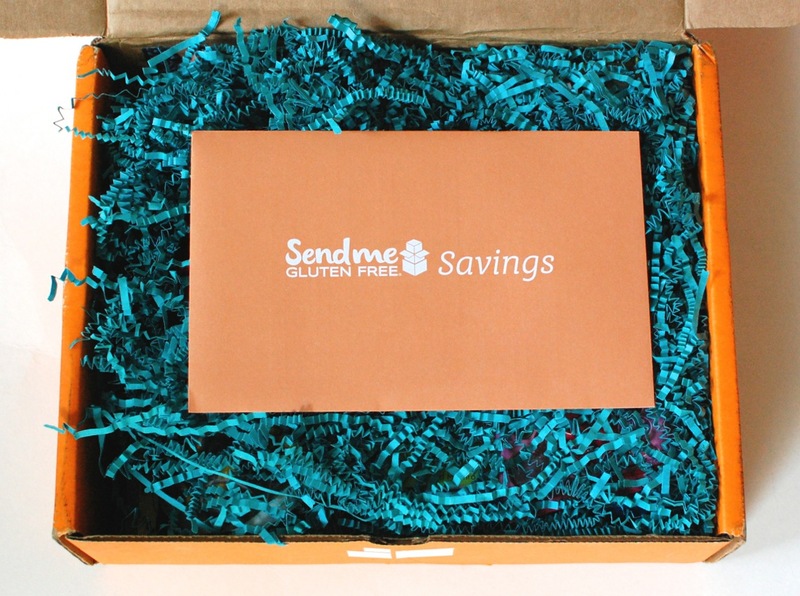 Send Me Gluten Free is a great box for discovering new gluten-free products in the comfort of your own home. I like that they include not only food products, but beauty/personal items and supplements as well. You can also use the promo code “BLOG20” to save 20% on any subscription! Disclosure: I received this box for review purposes. I was not compensated in any way. All opinions are my own. Post may contain affiliate links. Giveaway open to US residents only, 18+. Prize fulfillment to be handled directly by Send Me Gluten Free. Winner will have 48 hours to respond to confirmation email and claim their prize. If I don’t get a reply, a new winner will be chosen. I don’t live a gluten free life style, but everything in the box looked like it would be fun (and delicious) to try! How cool! I’ve been gluten-free for 5 years and I’ve heard of the box, but never tried it out myself! I’m interested in that black bean pasta. It’s interesting and a new food for me to try. 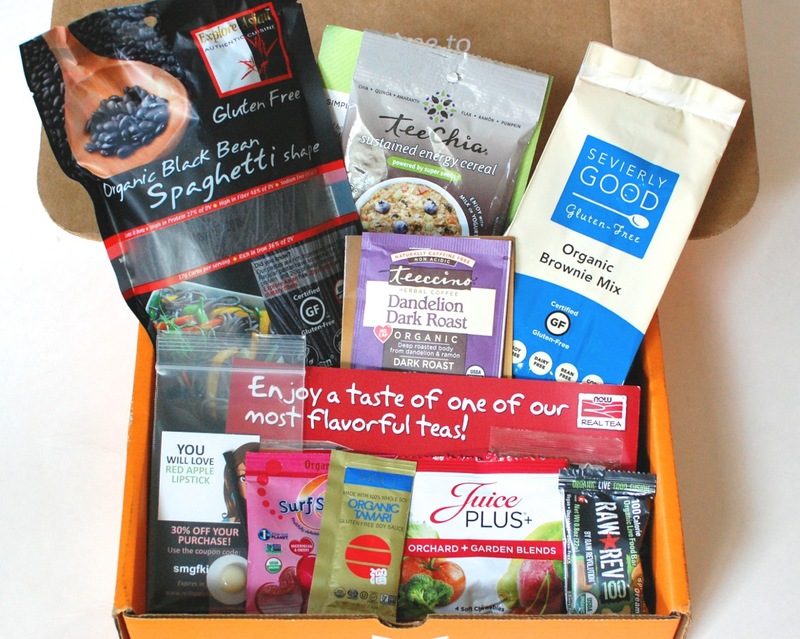 I would love to win this box for a friend who just became a vegan. I want to try new gluten free products. I want to try new gluten free foods! Because I have a friend recently diagnosed with Celiac disease and would love to give it to her. I would love to win this to try these wonderful products for myself and share with my sister. I want to win this for my daughter who just moved out and trying to make it on her own but is struggling because of the cost of gluten free eating. I would love to win because I have been trying to exclude gluten from my diet and I would love to try something new! This would be awesome to win! Being a celiac it is so easy to get board! My young daughter is gluten free for her asthma/allergies so I would love to try these new products! Looks like a great box! I have been gluten free for six months now and I am always interested in trying new, gluten items. I love trying new gluten free products! my boyfriend and i have been trying to minimize gluten from our diet! love trying new products especially gluten free ones because some of the one’s i have already tried aren’t the best!